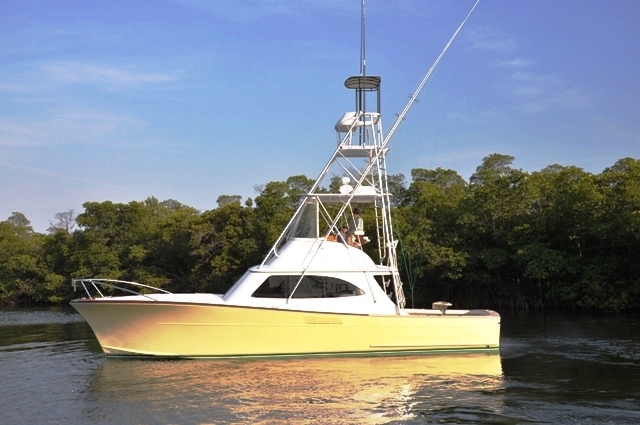 West Coast Fishing Club Panama has recently added two 40’ Gamefisherman sports boats to their fleet. These boats were purchased to satisfy the offshore requirements of our Panama operations. The Gamefisherman crafts will provide guests a quality on-water experience, while also offering one of the most high performance platforms in blue-water fishing. The first boat was named “Colibri”; Colibri is “Hummingbird” in Spanish. Stay tuned for the next name of the next gameboat and for additional boats to be added to the fleet in the near future.